Well, folks, I have returned after a two-week hibernation. This was an excellent, relaxing, stress-free period during which my Range Rover only broke down once. I consider it a banner holiday season. Today’s topic is one of my less common features, which I dubbed “come to America.” Initially I created this solely to discuss how much I want an Audi RS2, but it doesn’t look like that’s going to happen anytime soon, so now I’ll expand it to other cars. And one of those cars is the Mercedes A-Class. To be clear, the A-Class I want is the first-generation model – the one shaped like a four-door isosceles triangle. It’s gorgeous. It’s cool. It looks futuristic, even though it came out like 15 years ago. In fact, can we put an A-Class on the same boat that will eventually transport my RS2? I am aware, however, that the original A-Class is long out of production. So this is aimed more at the current A-Class. I think Mercedes should bring it to the States. Now, I know what you’re thinking. 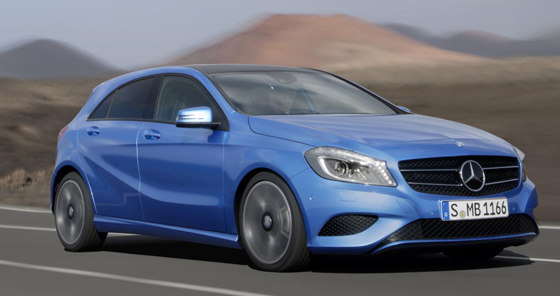 You’re thinking: The A-Class IS coming to the states! I read it on Autoblog! And you are correct. 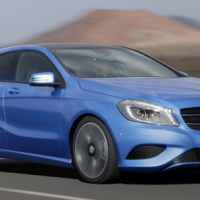 There have been many reports that the A-Class will make landfall in America someday soon. But here’s the problem: in 2010, they said it’d be here in 2012. In 2011, we heard 2013. In 2012, they said 2014. So is it really coming?! I hope so, because few things get me as excited as a compact luxury car. There’s just something about being able to fit in a tiny parallel parking space and still enjoy massaging seats that really gets me going. And for that reason, I hope the A-Class does, someday, find its way to America. And maybe Mercedes can bring over a few first-generation models, too. Just for laughs. Don’t you mean they keep saying that the B-Class will eventually come to the US, as opposed to the A-Class. Not that I would admit I’ve been reading Autoblog for many years, but I believe their narrative is the B-Class coming over, and eventually they just said the B-Class Electric Drive will be the only model for US consumption. I think it’s been both! Give it a manual and rear-biased AWD, and it’d be a smash hit with enthusiasts — rich man’s WRX wagon. And not even that expensive. Imagine if it cost only a little more than a Volvo C30. Although given what happened to the Volvo C30, maybe that’s not such a good idea. “few things get me as excited as a compact luxury car” Amen! Especially if you can make it an efficient shape, i.e., a hatchback. I just drove an A250 in France. My experience was similar to Matt Farah’s with the CLA250. 2 issues though: Impact harshness that make my A3 cushy by comparison, and the lack of visibility (which from reading a bunch of reviews of a bunch of cars, has become common). Even the undisputed parallel parking champion that I am finds the rearview camera indispensable. The blindspot detection things in the mirrors help a LOT on the road.